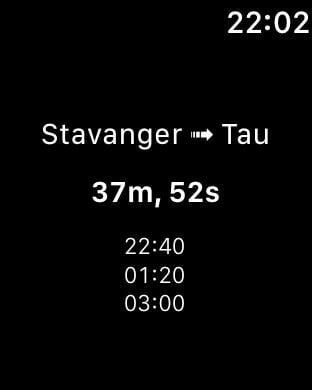 Are you a regular at the Tau-Stavanger ferry? 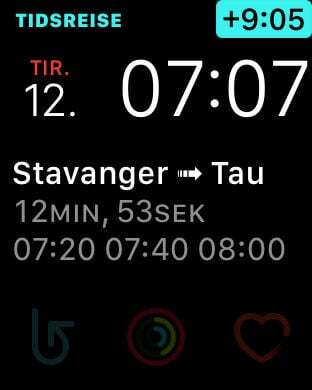 This app provides you with a countdown towards the next departure, which means you can stop worrying about whether it's Saturday or Sunday, what time it is, or if you're looking at the schedule for the opposite side of the fjord. 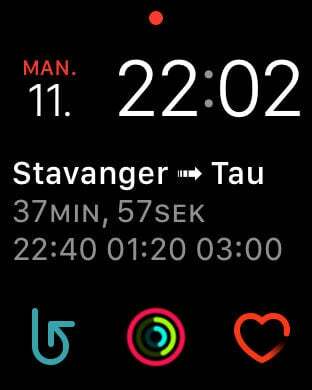 It's ideal if you just finished your shopping in Stavanger and find yourself wondering if you need to run to catch the next ferry, or if there's still time to sit down and grab a coffee.